Looking for a way to spice up your fall lesson plans? 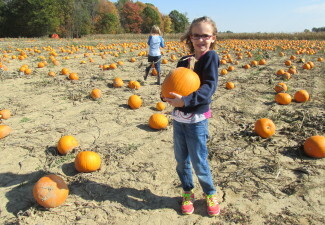 Give your students the chance to experience the harvest at Ramseyer Farms this fall! We are open in September and October for “dig in the dirt” learning experiences for your students. 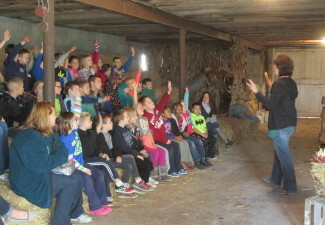 Each student will have the opportunity to observe the harvest, pick a personal pumpkin, visit the farm animals, and more. Each tour is specifically designed for the appropriate grade level of your class and is carefully aligned with state of Ohio content standards. Tour lasts approximately 1.5 hours and includes the following and more! Visit our helpful tips page for ways to help your trip run more smoothly. – General admission tickets and season passes are not valid for school tours. – We do not accept personal checks for school tours. 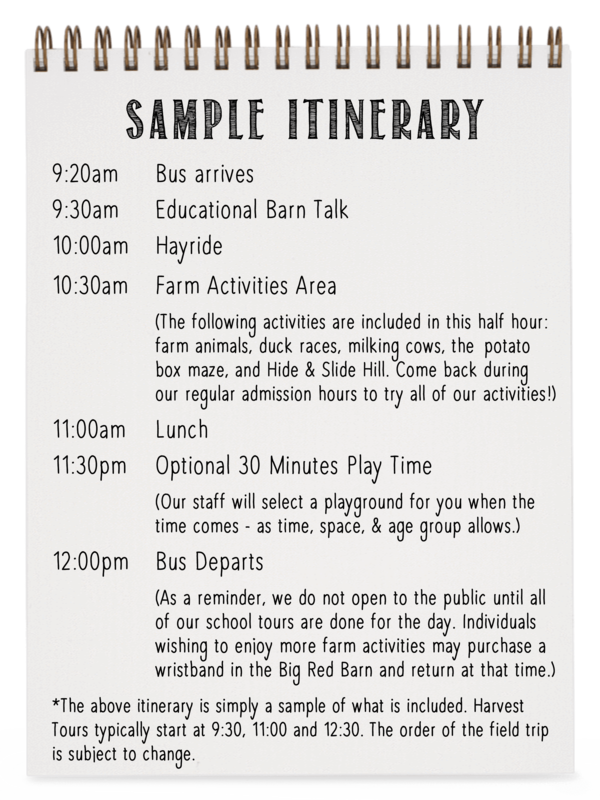 Schedule your fall field trip! Have questions? Need more information? Ready to schedule your fall field trip? Give us a call at (330) 264-0264 or send us an email. We can’t wait to share our farm with you! 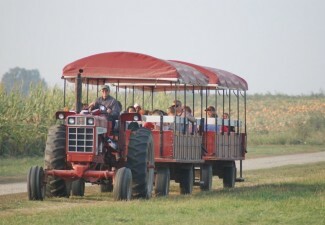 Looking for a field trip for a Homeschool Group?